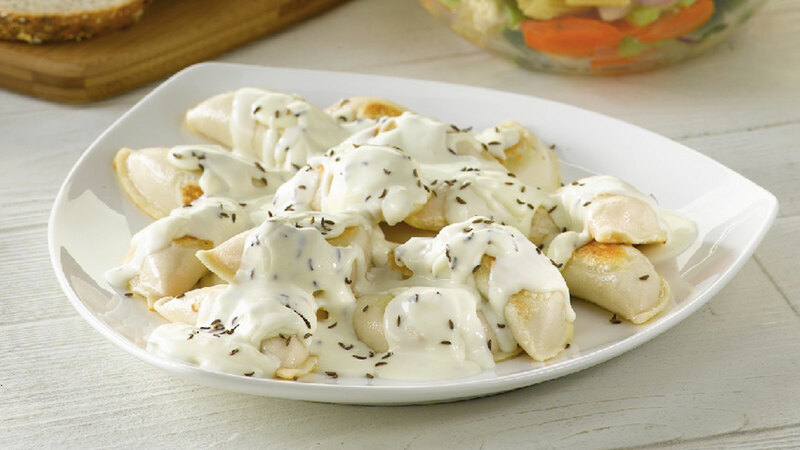 Pan-fry or boil CHEEMO Perogies. Pour whipping cream into a sauce pan, bring to boil and reduce to a simmer. Reduce the cream to desired consistency. Season cream with onions, garlic, salt and pepper to taste. Add the caraway seeds. 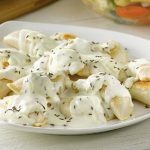 Arrange the perogies on a serving platter and top with the reduced cream sauce.